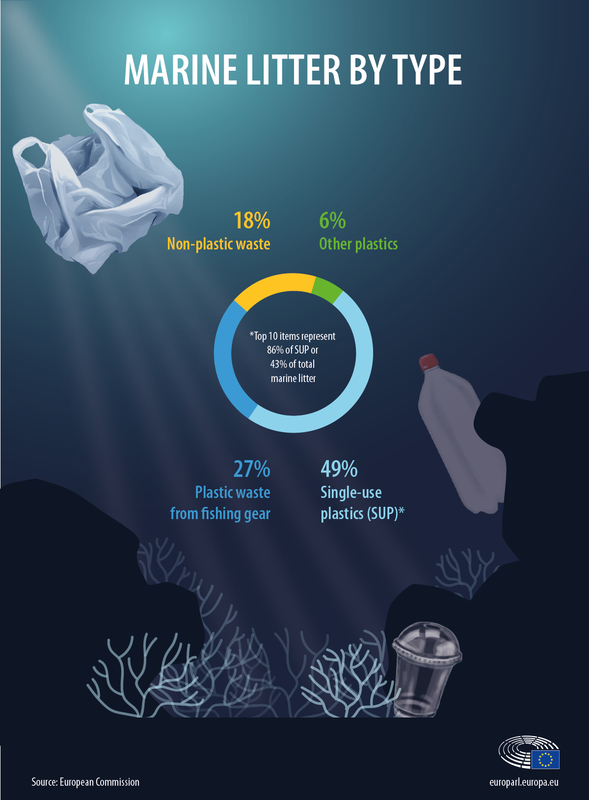 On October 12, 2018, the European Parliament (EP) published a headline article addressing marine litter, its overall impact, and measures aiming at reducing plastic pollution in the oceans. Lost fishing gear and the 10 single-use plastic products most often found on European coastlines account for 70% of marine litter. 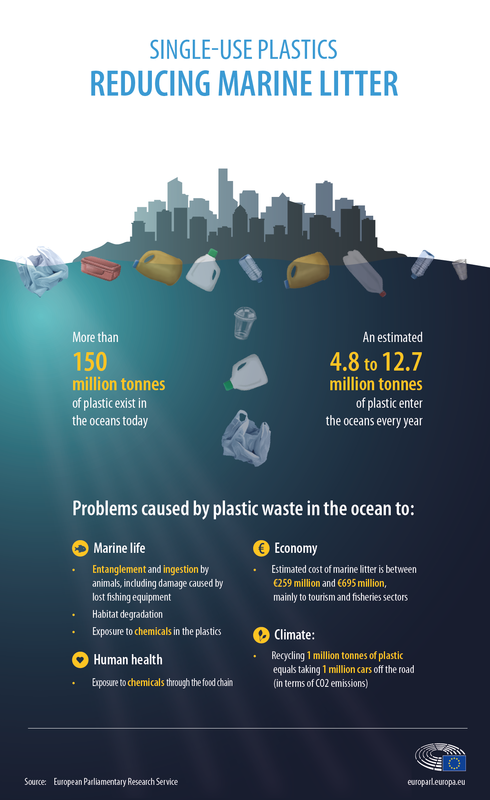 In total, it is estimated that 150 million metric tons of plastic are currently present in the oceans, with 4.8 to 12.7 million metric tons additionally entering every year. Reducing these number could improve marine life, human health, economy, and climate. Prevention of single-use plastic was proposed as one important measure that can be achieved by a total ban of these items. Additionally, reducing the consumption of food and drink containers, obligations for producers to cover the costs for clean-ups, increasing collection rates, labelling requirements, and awareness raising could help to tackle the problem. The new rules addressing these issues, i.e., EU directive on reducing marine litter (FPF reported), have been adopted by the Parliament’s Environment and Public Health Committee (ENVI) on October 10, 2018. Next, the draft directive will be discussed and voted on by the full EP plenary on October 22, 2018.